The PCAWG study is an international collaboration to identify common patterns of mutation in more than 2,800 cancer whole genomes from the International Cancer Genome Consortium. The project produced large amount data with many types including simple somatic mutations (SNVs, MNVs and small INDELs), large-scale somatic structural variations, copy number alterations, germline variations, RNA expression profiles, gene fusions, and phenotypic annotations etc. PCAWG data have been imported, processed and made available in the following four major online resources for download and exploration by the cancer researchers worldwide. The ICGC Data Portal is the main data dissemination platform for ICGC. PCAWG data have been imported into or indexed by the data portal which makes data search / download / exploration simple and effective. 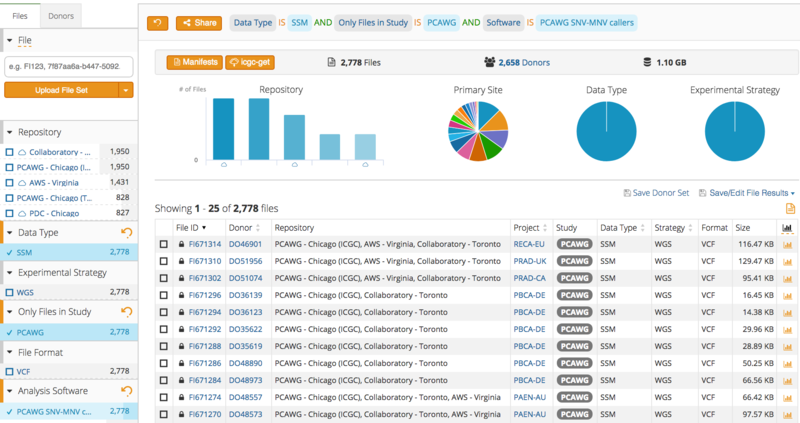 Explore ICGC Data Portal: PCAWG Somatic Mutations, PCAWG data files in various repositories. UCSC Xena is an exploration tool for multi-omic resource data, enabling discovery of correlations among all open-access PCAWG primary results, and performance of survival analyses. Explore PCAWG data in UCSC Xena at https://pcawg.xenahubs.net. Expression Atlas is an open science resource that gives users a powerful way to find information about gene and protein expression across species and biological conditions such as different tissues, cell types, developmental stages and diseases among others. Explore PCAWG data in EBI Expression Atlas at https://www.ebi.ac.uk/gxa/experiments/E-MTAB-5200. PCAWG-Scout is an analysis platform to visualize and explore the PCAWG data. It consists of a portal that presents the original omics data and sample annotation along with the results from different analysis working-groups, and which servers as interface to an on-demand analysis infrastructure to help the user find interesting stories and follow them across different analysis and visualization tools. Explore PCAWG data in BSC PCAWG-Scout at http://pcawgscout.bsc.es. 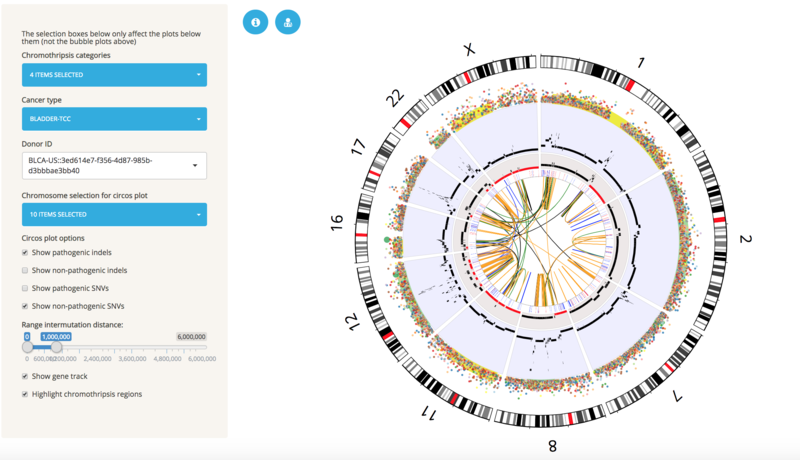 Chromothripsis Explorer provides highly interactive Circos plots for all tumors in the PCAWG cohort, allowing researchers to explore large-scale alterations such as chromosome arm deletions, and complex mutational patterns such as chromothripsis. Each Circos plots reports the point mutations, small insertions and deletions, structural variations, and copy number profiles detected in each tumor. Explore PCAWG data in Chromothripsis Explorer at http://compbio.med.harvard.edu/chromothripsis/.